When I joined Delt in January 2015 we didn’t have a website. Come to think of it there were quite a lot of things we didn’t have! So, we built a website and felt very pleased with ourselves. But that was more than 3 years ago and we are a very different organisation today. We recently went through an exercise where we found some people who didn’t know Delt and told them all about us. Then we asked them to look at our website. It wasn’t a great surprise to find that what they saw on the website didn’t represent the story we told. Yes, the vision and values remained unchanged but the focus on customer, the focus on people, the services we offer and the passion we show just didn’t come through. That leads us to today where we launch a new Delt website. It’s the same vision and values but almost everything else has changed. The new site is very customer and people centric and reflects much of the journey we have been on. We started life providing IT services but now have a much wider support services offering. IT, Payroll and Pensions, Specialist GP Systems Training, Cyber Security, Professional Consultancy. We started with just two customers and now have closer to thirty. We have increased our revenues by 50%. We have generated millions of pounds of benefit for the public interest sector. We employ more people and invest more in them than ever before. I get genuinely excited every time I talk about this. 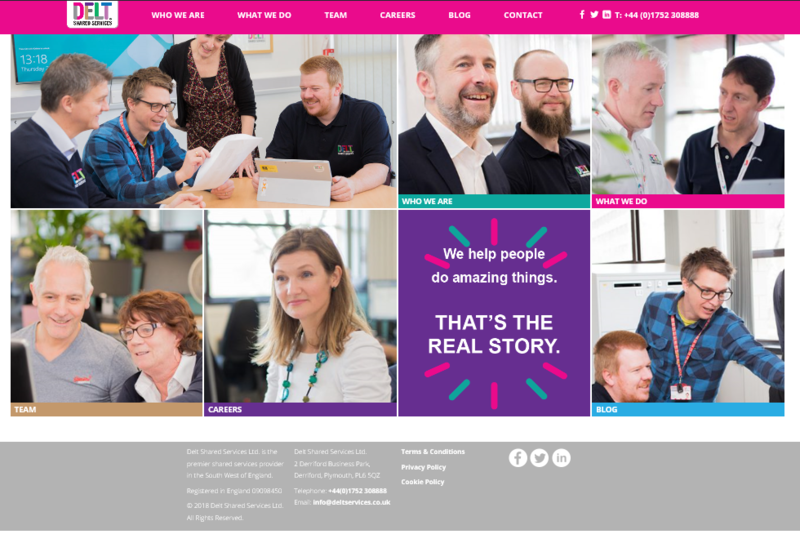 Our hope is that the new website reflects not only the company we have grown to be, but the passion and excitement our people bring to the vital work they do, in helping our customers do amazing things.